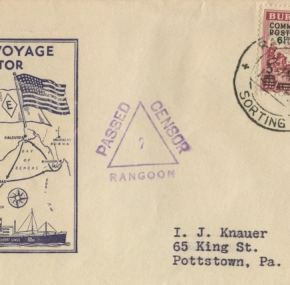 Interesting maiden voyage cover for the American Export ship Executor. 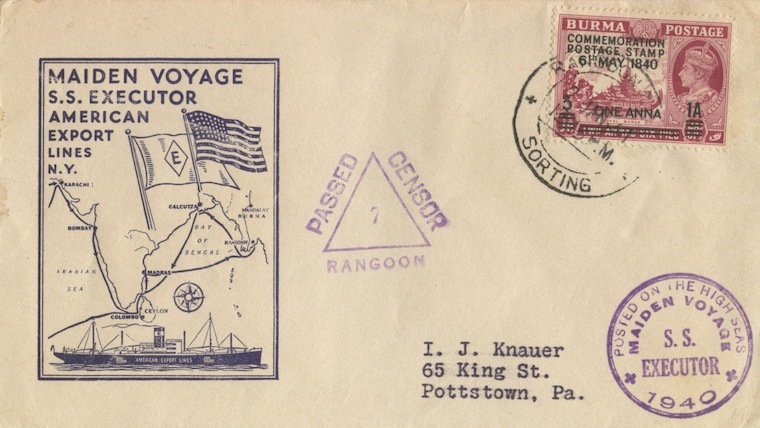 Posted on the maiden voyage in 1940, much of the world was at war; so the cover also has a “Passed Censor” stamp from Rangoon. Fine condition.